Desmond is the voice of young workers. 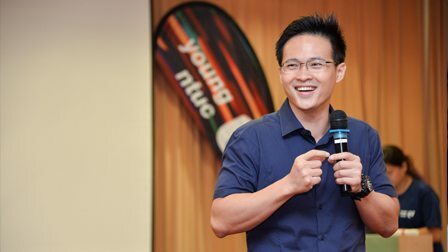 He represents Young NTUC, a movement that advances the interests of young workers. Yesterday, Desmond Choo proposed two initiatives to improve employment for youths: Industry-led integrated career counselling and an apprenticeship (rather than an internship) system. “The Ministry of Education can partner the Labour Movement in the latter’s broad economic representation to guide our youths in choosing the right paths. And the Government can have the Labour Movement to run their career counselling services,” he suggested. Mr Choo pointed to the German and Swiss model of apprenticeship as a means to better equip youths with industry-relevant skills for work. “Can the Government consider further incentivising companies, especially promising SMEs, to start apprenticeship schemes as opposed to just internship programmes commonly implemented today?” Mr Choo said.